Tell us a little about your current staffing needs. 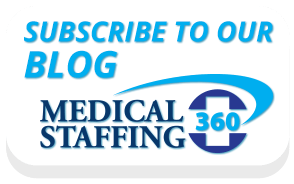 Thank you for your interest in Medical Staffing 360. We want to help you with your healthcare staffing needs. Please tell us a little about your current staffing needs by completing the brief form below. We will contact you within 24 hours. For immediate assistance, please feel free to give us a call at 804-728-7657. What type of position(s) do you need? When do you anticipate needing help with your staffing requirements? How many positions do you need filled?